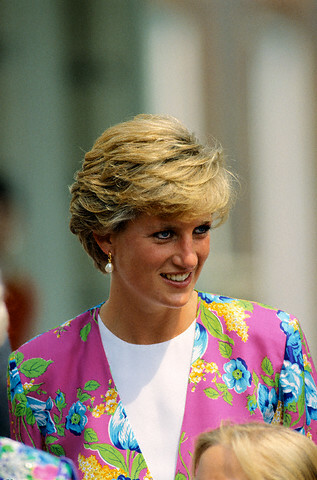 Princess Diana wears a pink jacket to the Queen Mother's 90th birthday at Clarence House. 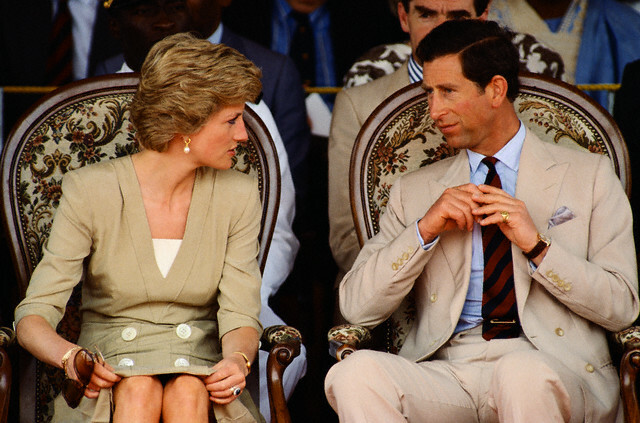 Princess Diana turns to speak to Prince Charles during a visit to Cameroon. 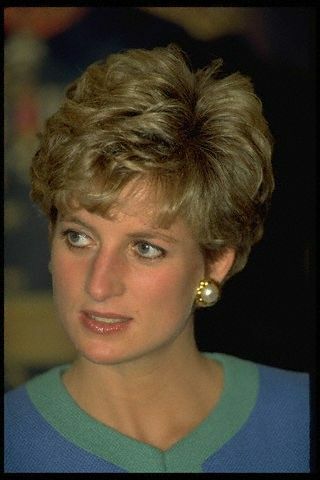 Posted March 18, 2013: The earliest photo I could find of Diana wearing these earrings is in February 1990. They have been my favorite ever since. 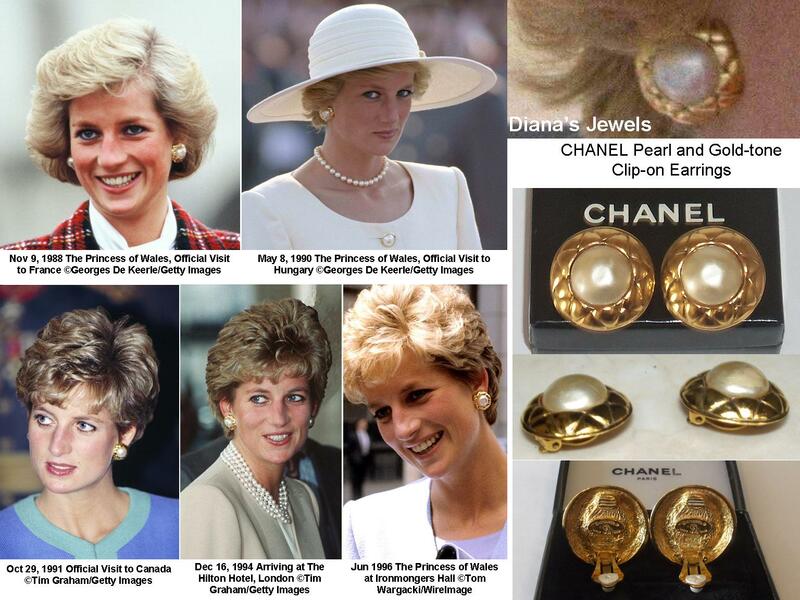 Posted March 21, 2013: In photo below, you can see that Diana's earrings has an earpost like the Venus earrings. 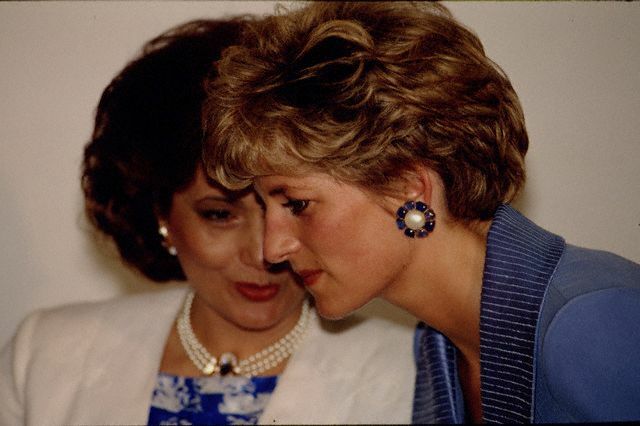 Below is a comparison photo of Diana's earrings to the Met's earrings. 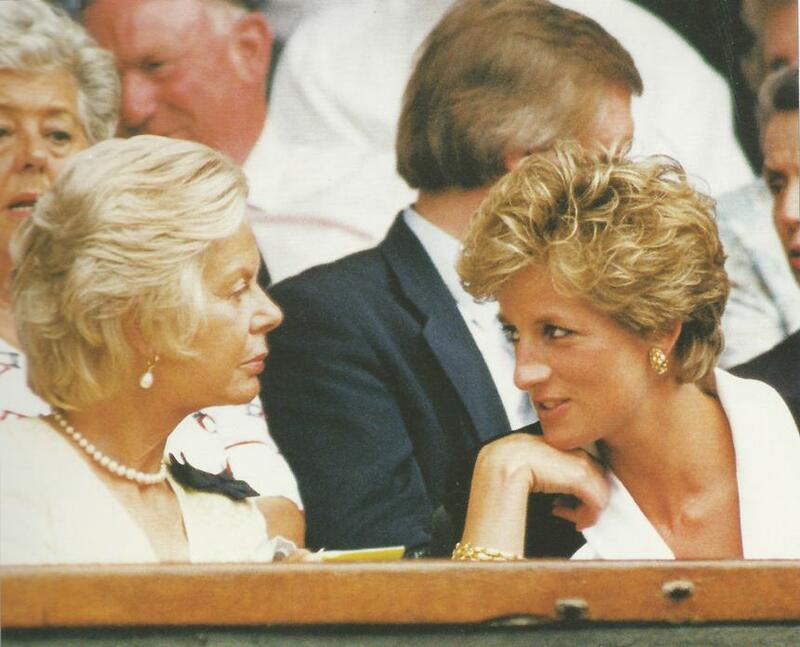 Posted March 22, 2013: In Wimbledon 1994, HRH The Duchess of Kent can be seen wearing the white Venus pearl earrings. 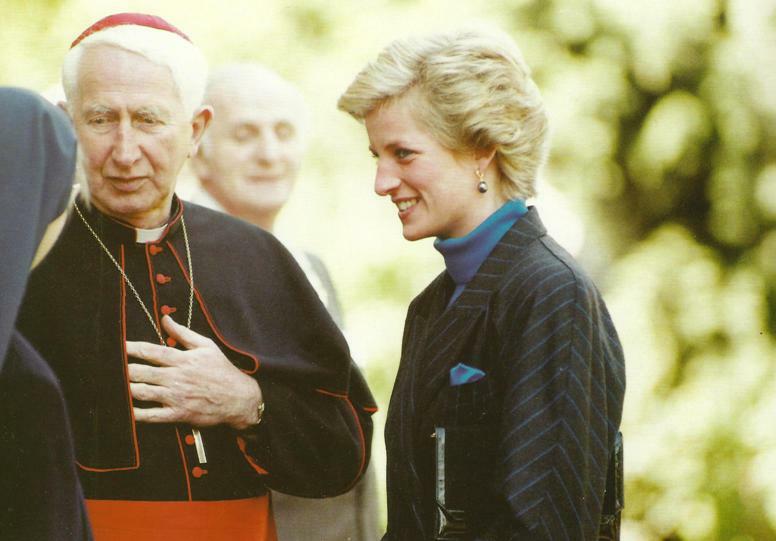 I thought Diana may have given hers to the Duchess, but Diana wore her pair again on Christmas Day 1994 at Sandringham, walking to church with the rest of the royal family. 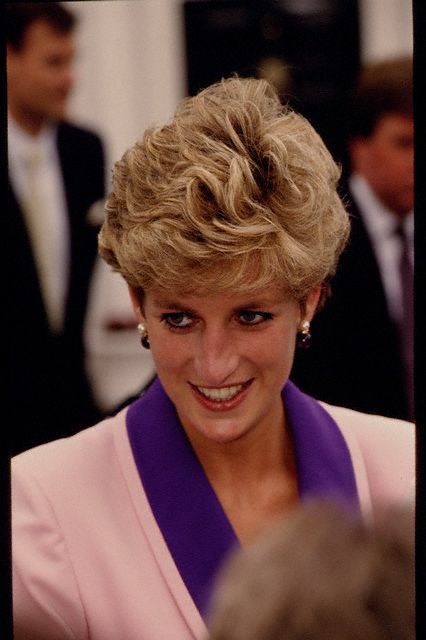 Photos scanned from 'Diana Unseen Archives' by Alison Gauntlett, page 331. 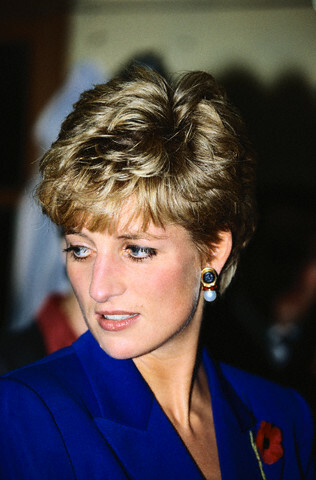 In 1990, Diana wore the Venus pearl earrings with black pearls. This pair is no longer available at The Metropolitan Museum of Art Store, but hopefully, they will bring it back. 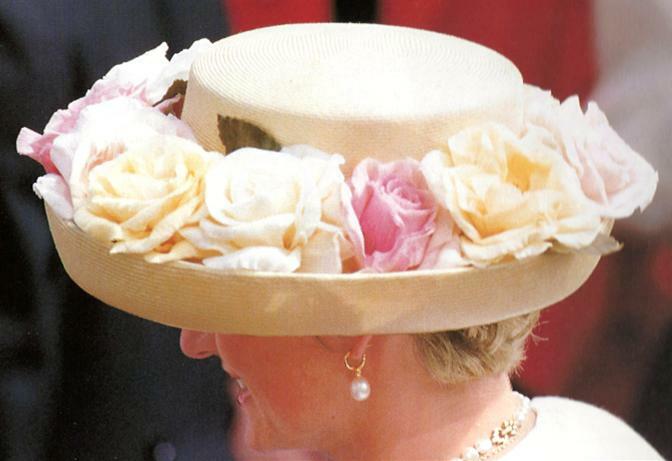 Photos scanned from 'Diana Unseen Archives' by Alison Gauntlett, page 226. 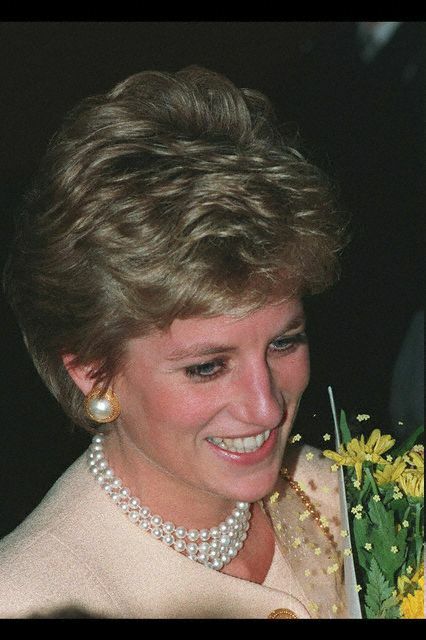 Princess Diana holds bouquet of flowers and smiles. 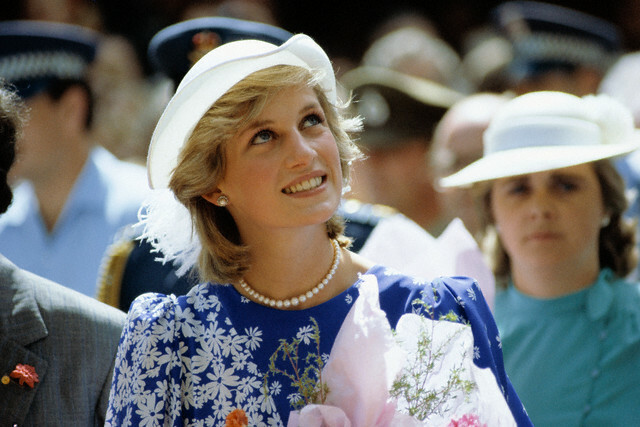 Princess Diana smiles for photographers. 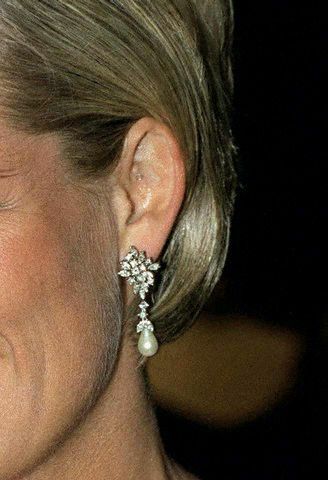 This pair of diamond and pearl dangle earrings was a wedding present from the Emir of Qatar. Original caption: London: The Radiant Princess. 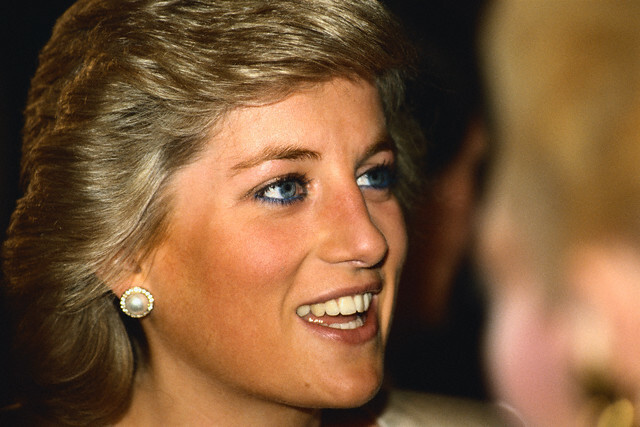 A radiant smile from the Princess of Wales as she arrives for a Royal Gala Performance that opened the Barbican Arts Centre in London on 4 March, 1982. The Princess, who is expecting her first baby in June, wore a full length cerise silk dress for the occasion. called the "Night of Knights" the performance featured a host of stars who helped raise funds for a Trust founded by the Prince of wales to aid underprivileged young people. The Barbican centre is the largest arts and conference centre in Western Europe and is the new home of the London Symphony Orchestra, the Royal Shakespeare Company and the Guildhall School of Music. 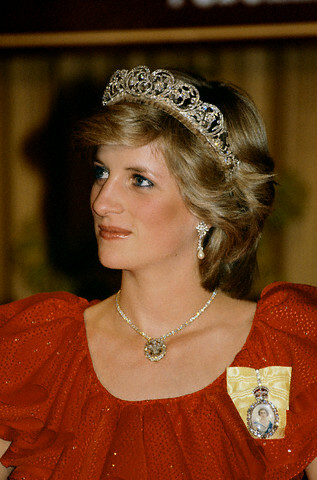 Princess Diana wears Spencer family tiara, Prince of Wales Feathers necklace, and family order of Queen Elizabeth pin. 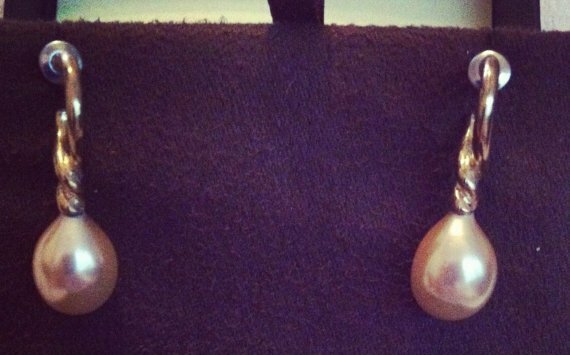 This diamond and pearl dangle earrings were a present from Collingwood Jewellers which has been patronized by the Spencer Family. 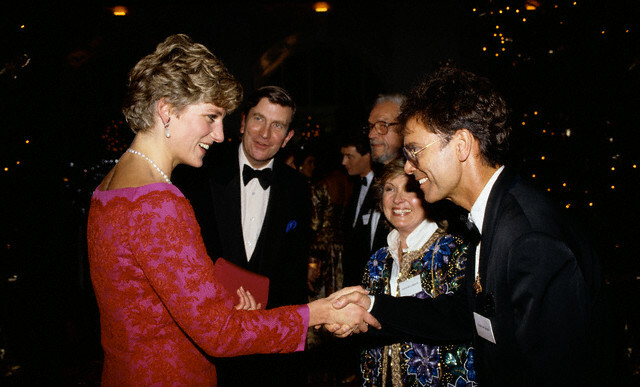 Princess Diana attends a formal event. 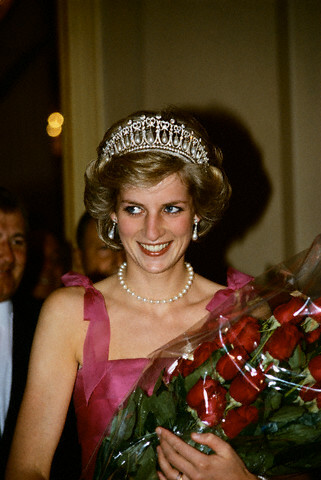 Princess Diana wears diamond and pearl tiara to a formal event. 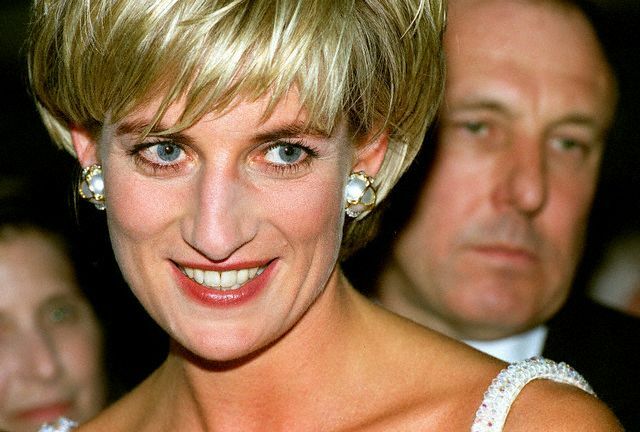 Princess Diana smiles in a black veil and pearl earrings. 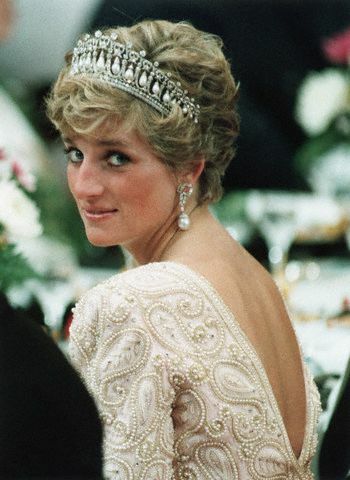 Diana, Princess of Wales looks over her shoulder and smiles during banquet for Japanese Emperor Akihito. 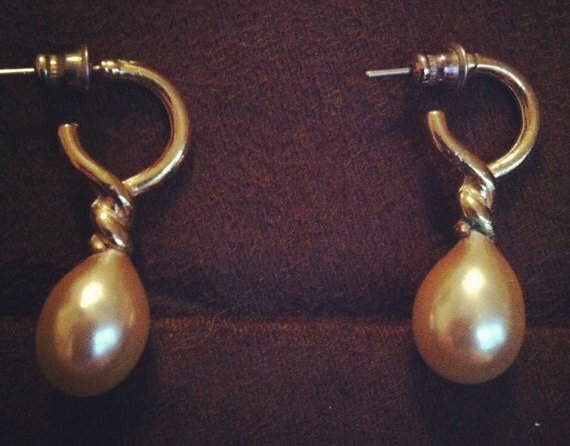 The same earrings without the pearl dangles. 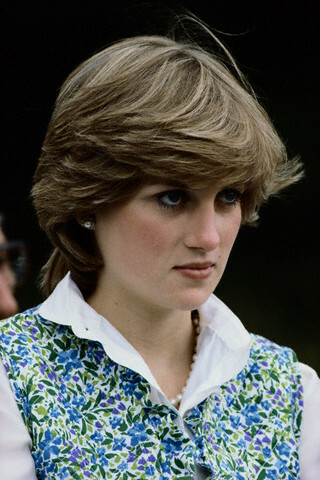 Princess Diana attends a performance of Swan Lake at the Royal Albert Hall wearing a dress by Azagury. Same earrings with a ruby and diamond tassel drop. 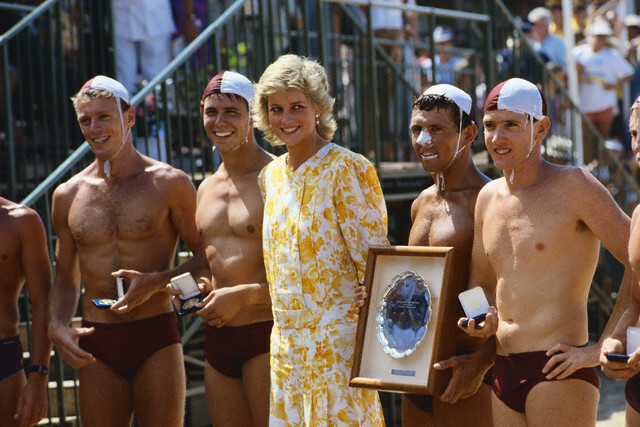 Princess Diana poses for a photograph with Lifeguards at Surf Carnival, a lifeguard competition in Australia. 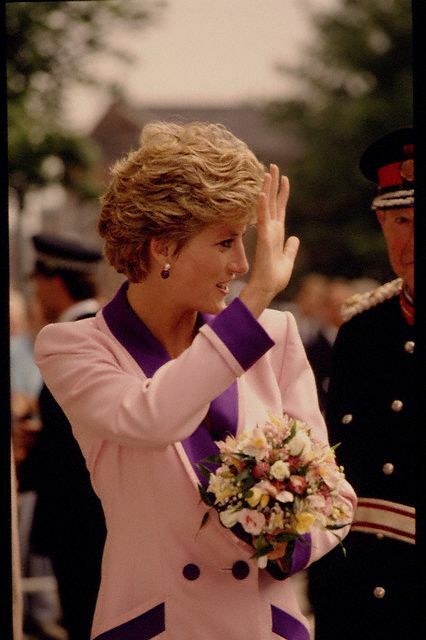 Princess Diana wears a pink suit while visiting Kingston upon Hull. 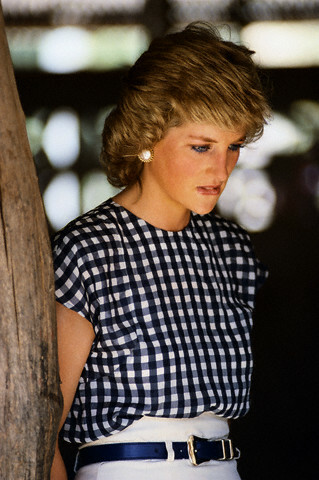 Princess Diana wears a scarf and a shalwar kameez (tunic and wide trousers) during a visit in Lahore, Pakistan. 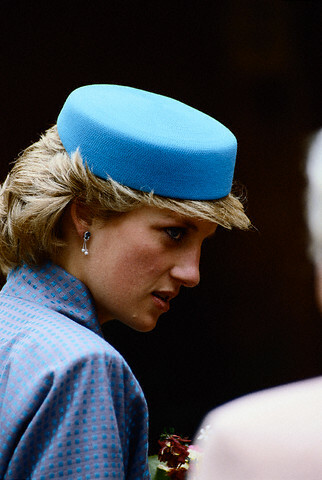 Princess Diana wears a blue pillbox hat while on an overseas tour. The pearl heart dangle is interchangeable with a crystal heart. 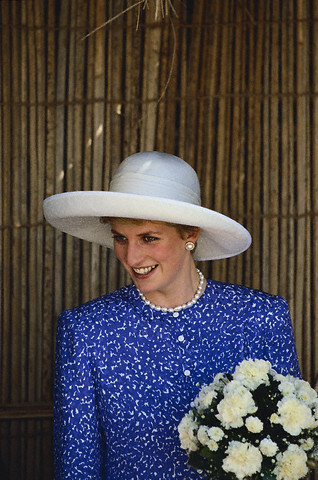 Diana, Princess of Wales, speaks to people gathered at St. Mary's Church, Atherstone, during a visit to Warwickshire with her husband, Prince Charles. 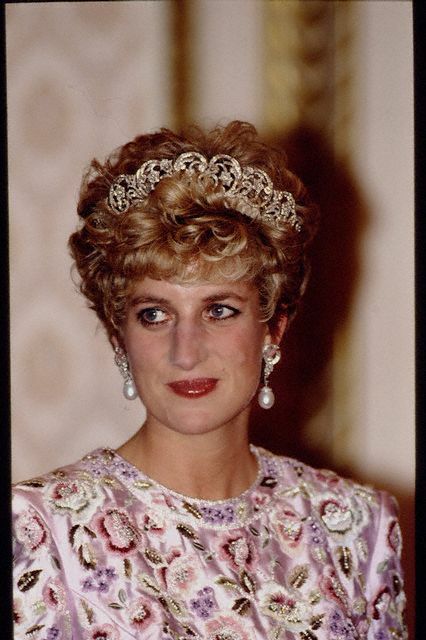 By far, this is the largest collection of earrings that Diana, Princess of Wales had. 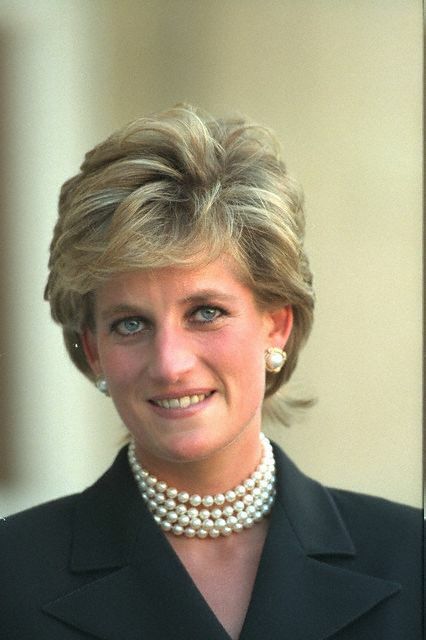 She had mabe-pearl earrings with different borders. These are the ones that I could find. The titles in this part are simply the description of the borders around the mabe-pearl. It's possible that I may have repeated some since it's difficult to get detail on some pictures. 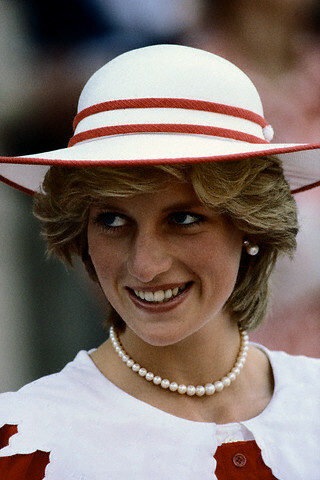 Princess Diana smiles in a wide brimmed hat. 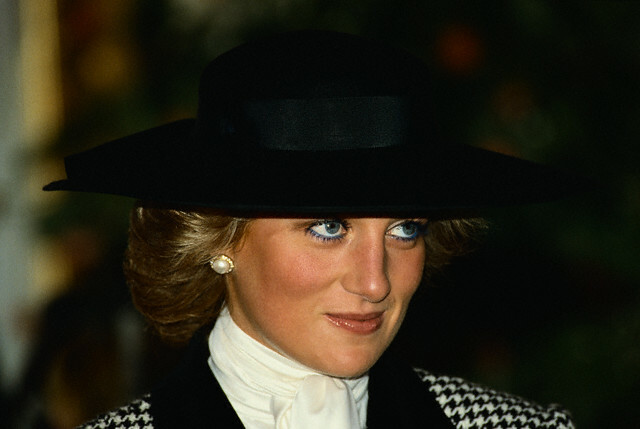 Princess Diana wears black brimmed hat and herringbone blazer. 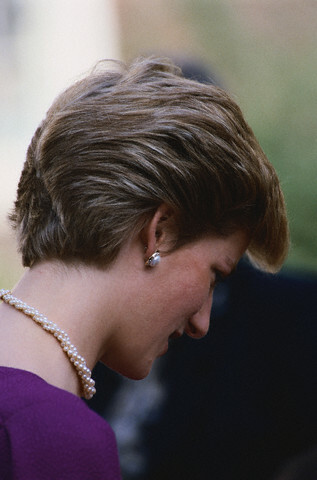 Princess Diana takes time to herself while on an overseas tour. 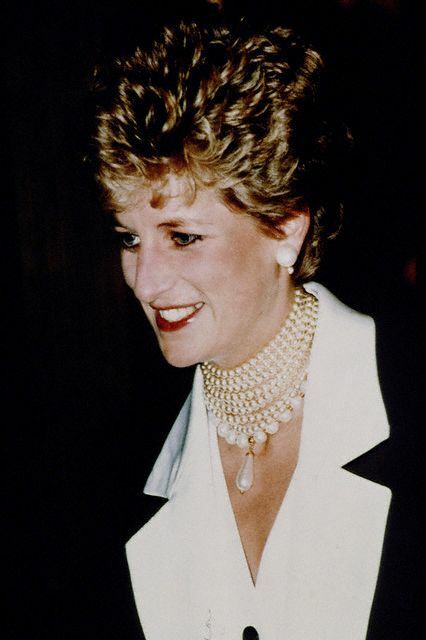 Princess Diana wears pearl necklace and earrings. 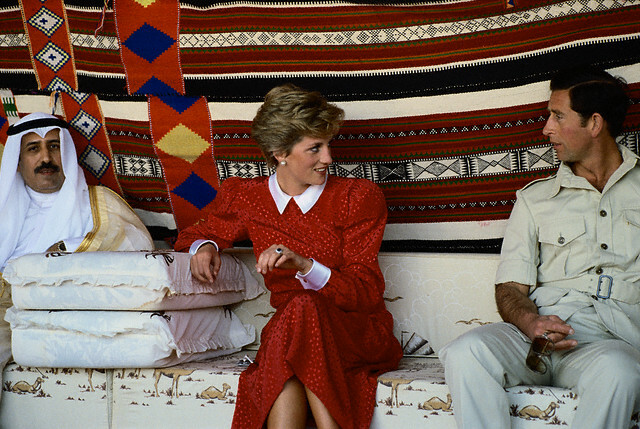 Prince Charles and Princess Diana on a Gulf tour. 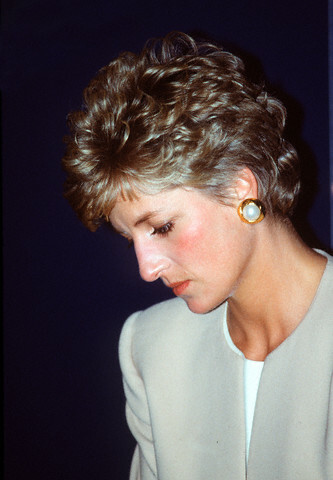 File photo : Princess Diana showing her nervousness at a reception for the Japanese media at Akasaka Palace. 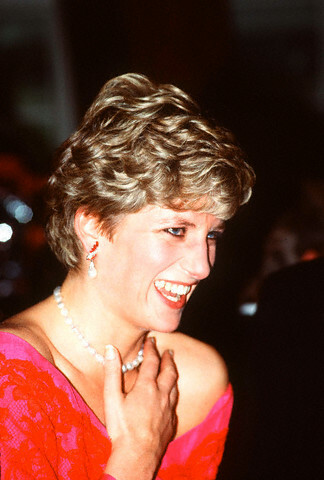 Princess Diana smiles in pearl and diamond earrings. 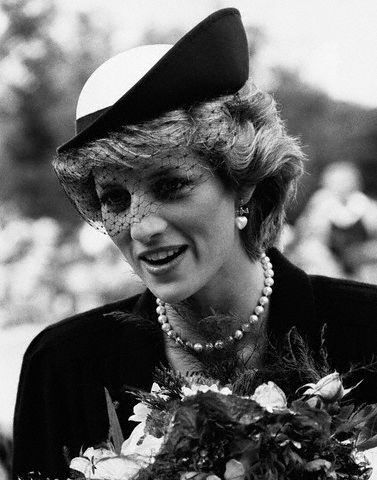 Princess Diana visits the Prague War Cemetery during a trip to Czechoslovakia. 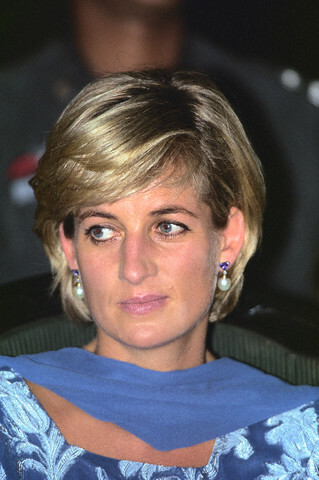 File photo : Princess Diana attends the ISDD Media Awards at the Cafe Royal. 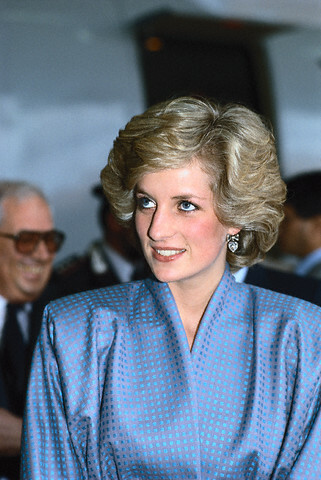 EXCLUSIVE : LADY DIANA ATTENDS CHRISTIE'S SALE.